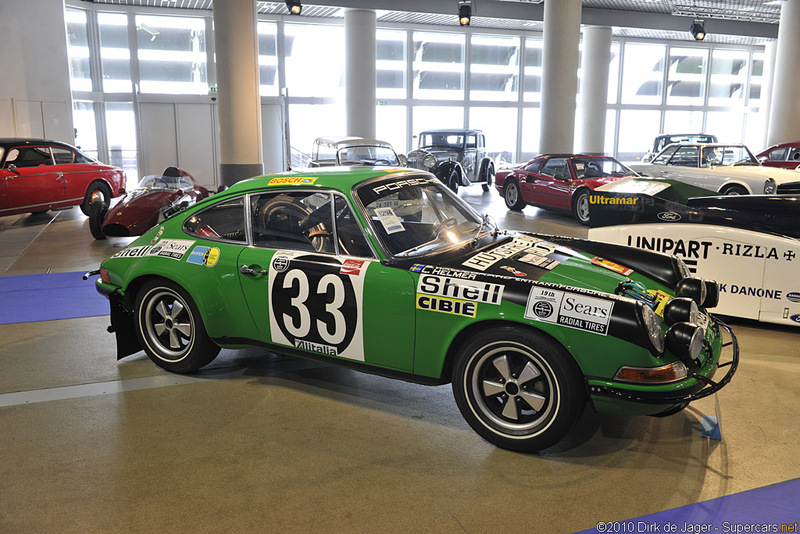 Porsche developed the S/T, of which 33 were built in 1970 and 1971, taking full advantage of new FIA rules allowing a two-inch wider track. Accordingly, wheel arches were widened to accommodate seven-inch front and nine-inch rear wheels. Weight reduction was even more radical, including thinner-gauge steel for the roof and floorpans. Heating ducts, seat slide supports, the glove-box lid, ashtray, sun visors and rear torsion-bar covers were deleted. Transverse bars linked the strut towers, while soundproofing and under-seal were omitted and minimal paint was applied. Plastic front and rear bumpers, a plastic front lid and lightweight Plexiglas side and rear windows were included. The 2.5-litre engine produced 270 bhp, and upgraded ventilated disc brakes, Recaro sport seats and a variety of fuel capacities completed the specification.